↑ Traditionally captains of Polish cavalry held the rank of rotmistrz, a direct equivalent of the rank of kapitan in other branches of the military. 1 2 This rank was never awarded during the War. ↑ This rank was only proposed and never used. 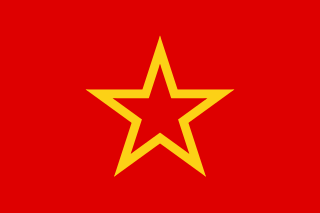 ↑ Elevated to position equal to Marshal of the Soviet Union after 1944. ↑ This was the highest rank of (equivalent to Soviet Marshal) and simultaneously a Yugoslav honorific title. The comparative ranks of Nazi Germany contrasts the ranks of the German Wehrmacht to a number of national-socialist organisations in Nazi Germany from 1933 to 1945 in a synoptic table. Nazi organisations used a hierarchal structure, according to the so-called Führerprinzip, and were oriented in line with the rank order system of the Wehrmacht. Field marshal is a very senior military rank, ordinarily senior to the general officer ranks. Usually it is the highest rank in an army, and when it is, few persons are appointed to it. 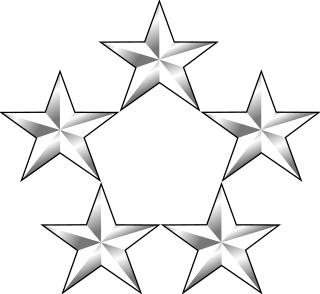 It is considered as a five-star rank (OF-10) in modern-day armed forces in many countries. Promotion to the rank of field marshal in many countries historically required extraordinary military achievement by a general. However, the rank has also been used as a divisional command rank and also as a brigade command rank. Examples of the different uses of the rank include Austria-Hungary, Prussia, Germany and Sri Lanka for an extraordinary achievement; Spain and Mexico for a divisional command ; and France, Portugal and Brazil for a brigade command. Air commodore is a one-star rank and the most junior general rank of the air-officer which originated in and continues to be used by the Royal Air Force. The rank is also used by the air forces of many countries which have historical British influence such as Zimbabwe, and it is sometimes used as the English translation of an equivalent rank in countries which have a non-English air force-specific rank structure. The name of the rank is always the full phrase and is never shortened to Commodore, which is a rank in various naval forces. Air Marshal is a three-star air-officer rank which originated in and continues to be used by the Royal Air Force. The rank is also used by the air forces of many countries which have historical British influence, including the Commonwealth, and it is sometimes used as the English translation of an equivalent rank in countries which have a non-English air force-specific rank structure. Air chief marshal is a four-star air officer rank which originated in and continues to be used by the Royal Air Force, where it is the most senior peacetime air force rank. The rank is also used by the air forces of many countries that have historical British influence and it is sometimes used as the English translation of an equivalent rank in countries which have a non-British air force-specific rank structure. Oberleutnant (OF-1a) is the highest lieutenant officer rank in the armed forces of Germany (Bundeswehr), Austrian Armed Forces, and Military of Switzerland. Army general was a rank of the Soviet Union which was first established in June 1940 as a high rank for Red Army generals, inferior only to the marshal of the Soviet Union. In the following 51 years the Soviet Union created 133 generals of the army, 32 of whom were later promoted to the rank of marshal of the Soviet Union. It is a direct counterpart of the Russian Federation's "Army general" rank. Following the end of World War II in Asia, after the surrender of Japan, the Imperial Japanese Army and Imperial Japanese Navy were dissolved by the Supreme Commander for the Allied Powers during the occupation of Japan. The symbols below represent the ranks of the Japan Self-Defense Forces: the Japan Ground Self-Defense Force, the Japan Air Self-Defense Force, and the Japan Maritime Self-Defense Force which have, since 1954, replaced the imperial military. The 1938–1945 Japanese military and naval ranks were phased out after World War II. The self-defense force breaks away from the Sino-centric tradition of non-branch-specified ranks, each JSDF rank with respect to each service carries a distinct Japanese title, although equivalent titles in different branches are still similar, differing only in the use of the morphemes riku (ground) for the army ranks, kai (maritime) for the naval ranks, and kū (air) for the aviation ranks. 1 2 3 4 5 6 7 8 9 10 11 12 DI (15 June 2015). 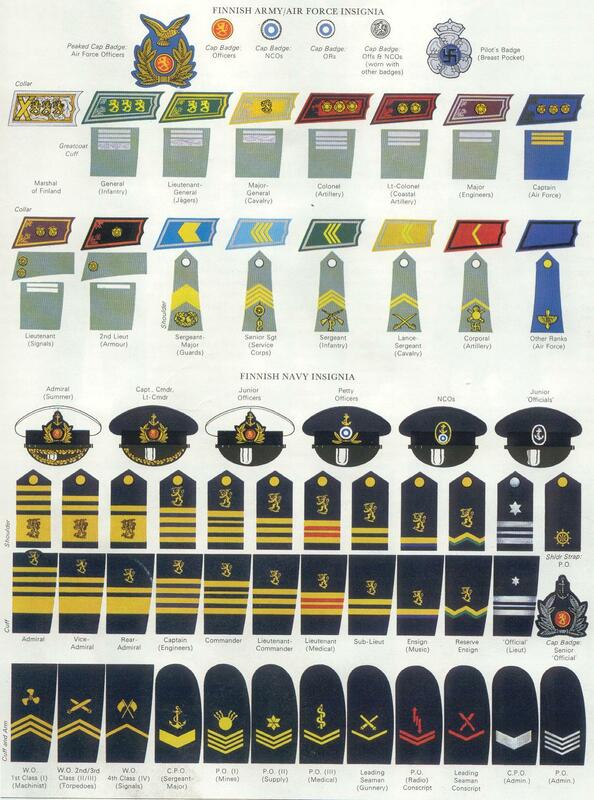 "World War 2 Allied Officers Rank Insignia". Daily Infographics. Archived from the original on 17 October 2017. Retrieved 6 May 2018. ↑ "Bulgarian Army/Air Force Insignia" . Retrieved 21 July 2018. ↑ "Danish Army Insignia" . Retrieved 6 May 2018. ↑ Balsved, Johnny (22 March 2008). "Distinktioner og gradstegn" [Rank Insignia]. Navalhistory.dk (in Danish). Retrieved 6 May 2018. 1 2 "Finnish Insignia" . Retrieved 21 October 2018. ↑ CIA (24 August 1999). "Records Integration Title Book" (PDF). p. 18. Retrieved 11 December 2018. ↑ Rosignoli, Guido (1980). Naval and Marine Badges and Insignia of World War 2. Blandford Colour Series. Link House, West Street, Poole, Dorset, BH15 1LL: Blandford Press Ltd. pp. 152–153.